Binance vs Coinbase: Learn What's the Better Alternative? Hey there, crypto fans! Welcome to my Binance vs Coinbase comparison review. In this review, I’m going to tell you about two of the biggest crypto exchanges on the market: Coinbase and Binance. I’m going to tell you what they are, what services they offer and how safe they are to use. Because this is a Coinbase vs Binance review, I’m also going to tell you which exchange is best for newbie traders. The cryptocurrency market is worth more than 250 billion US Dollars (USD) today. So, if you’ve been thinking about investing in some Ethereum, Bitcoin or Ripple then you’re not the only one! A whole industry has been created to make it as easy as possible for people to buy and sell cryptocurrencies. The businesses that make up this industry are called cryptocurrency exchanges. CoinMarketCap lists 204 cryptocurrency exchanges where users can trade hundreds of coins and tokens. For beginners, the number of choices can be frightening, but don’t worry as I’m here to help! I’ll be answering all the important questions like, is Binance safe? And what are Coinbase limits? However, the first question I’ll ask is, shall we begin? Yes? Great! 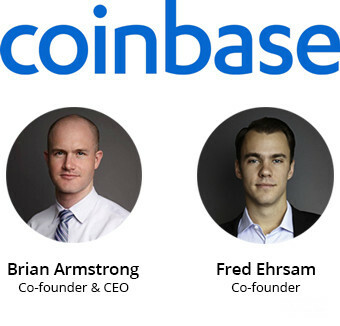 Coinbase is a broker exchange founded in 2012 by Brian Armstrong and Fred Ehrsam in San Francisco, California. A broker exchange buys cryptocurrency for its customers instead of bringing buyers and sellers together like trading exchanges do. Coinbase is the largest broker exchange on the market. In August 2017, Coinbase was the first exchange to become a unicorn! No, not the mythical horse! Coinbase became a financial unicorn which is a company that’s valued at more than 1 billion US Dollars (USD). Brian Armstrong has also been ranked number 10 on Forbes’ list of the most influential young people in business. Not bad for a company that’s only six years old, right? Since its creation, Coinbase has built partnerships with large companies like Dell, Time Inc., and Expedia. More recently, it’s been rumoured that the social media giant, Facebook, is interested in buying the exchange! All this makes Coinbase one of the most legit businesses in crypto. Binance was founded in 2017 by Changpeng Zhao and Yi He. It’s based in Malta although it has had offices in China, Japan and Taiwan. Both founders started their careers in crypto at the OKCoin exchange. Binance is a crypto-to-crypto exchange which means it connects buyers with sellers for cryptocurrency trading. It also has its own cryptocurrency called Binance Coin (BNB). The exchange used a Binance Coin ICO to raise 15 million USD in July 2017. Note: An ICO is an initial coin offering and is a way for new businesses to raise funds without using more traditional methods like issuing stocks or bonds. Binance is well-known for giving away cool prizes to its top traders. In the past, prizes have included iPhones, MacBooks, a Mercedes-Benz and even a Maserati! At the moment, the team at Binance is looking for partners to form a billion dollar investment fund with. So, both exchanges are big… but which is bigger? Let’s have a look at the size of Coinbase vs Binance. Coinbase has served more than 20 million customers in 32 different countries. Over 150 billion US Dollars worth of cryptocurrency has been bought and sold on the platform. Binance is ranked second largest in CoinMarketCap’s list of 204 exchanges. It has a 24-hour trading volume of 1,261,129,677 US Dollars. Note: A 24-hour trading volume is the total value of cryptocurrency that is bought and sold on an exchange in one day. The figure shown is for 07/02/18. It’s hard to say which exchange is bigger because Coinbase isn’t listed on CoinMarketCap. However, you can make a rough estimate of Coinbase’s average daily volume based on the figures it provides on its homepage. This estimate is around 85-100 million USD per day. Now you know that both exchanges are huge, but which is better? To find out, we need to check out what currency services each exchange offers. How do Coinbase vs Binance currency services compare? The two types of currency services offered by crypto exchanges are fiat trading and cryptocurrency trading. Fiat trading is a service that allows users to buy and sell cryptocurrency with fiat currencies. Fiat currencies are the official currencies of nations or groups of nations. Examples of fiat currency include: the Canadian Dollar (CAD), the Indian Rupee (INR) and the European Union Euro (EUR). Cryptocurrency trading is a service that allows users to trade one cryptocurrency for another. A fiat trading pair looks like this; 1 British Pound (GBP) = 90 Indian Rupees (INR). A fiat/crypto trading pair looks like this; 1 Bitcoin (BTC) = 6,300 US Dollars (USD). Coinbase traders can buy cryptocurrencies using the fiat currencies of any of the 32 countries where it operates. All the countries where Coinbase operates are in Europe and North America, except for Australia and Singapore. Note: Traders can also use Coinbase to sell cryptocurrencies in all 32 countries except for Australia and Canada. Fiat trading on Coinbase is great for beginners because they don’t need to visit another exchange before they start trading cryptocurrencies. They’ll find everything they need in one place! At the moment, Coinbase only offers trading for Bitcoin (BTC), Bitcoin Cash (BCH), Litecoin (LTC) and Ethereum (ETH). This means that Coinbase offers 12 cryptocurrency trading pairs with each cryptocurrency being offered for trading with the three others. Binance doesn’t offer any fiat trading at all. This means that users can only fund their accounts, and trade, with cryptocurrencies. However, Binance offers a much better selection of cryptocurrency trading than Coinbase. The exchange offers trading with hundreds of well-known and newly-released cryptocurrencies. They include: EOS, SALT, Cardano, Gifto, Steem, Lisk, Loopring, NEO and many more. So, who’s currency services are better; Binance vs Coinbase? For beginners, Coinbase has better currency services because new traders can buy cryptocurrencies with fiat currencies. They don’t need to go to another exchange first. Its selection of coins is small but it’s big enough to get most newbie traders started. For more advanced users, Binance has better currency services. Its coin selection is one of the best on the market and new coins are always being added. However, this round goes to Coinbase because of Binance’s lack of fiat trading. There are three main types of fees traders have to pay to use the services of a cryptocurrency exchange. They are; deposit fees, withdrawal fees and trading fees. I’ll look at Coinbase fees first. Coinbase charges a fee of 1.49% for each cryptocurrency purchase or sale. This fee goes up to 3.99% for trades made with a credit card. Coinbase doesn’t offer trading pairs like Binance. This means it doesn’t offer exchange rates either. Instead, it uses a conversion service which offers a set price or “conversion rate” for each trade. Coinbase’s conversion fees are based on the exchange rates of GDAX. Note: GDAX (Global Digital Asset Exchange) is a crypto exchange owned by Coinbase. It offers more trading pairs and features than Coinbase. If you sign up to Coinbase you will also be given access to a GDAX account. Coinbase offers free deposits of Euros in the SEPA. In the SEPA, withdrawals of Euros are charged a fee of 0.15 EUR. Bank-transfer deposits of US Dollars are free. Withdrawals of US Dollars are charged a fee of 10 USD. Note: The SEPA is the Single Euro Payments Area. It’s an organization of 28 EU countries which allow fast and secure movement of Euros across their borders. 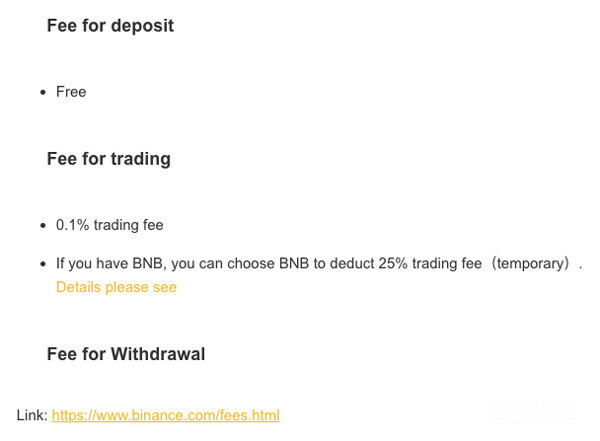 Binance doesn’t charge fees for deposits or withdrawals. This is because Binance only offers crypto trading. Handling cryptocurrency trades is a lot cheaper than handling fiat currency trades! Binance charges a fee of 0.1% for all trades. It also offers a 50% discount on fees for trades made using Binance Coin. As you can see, there is a clear winner here. 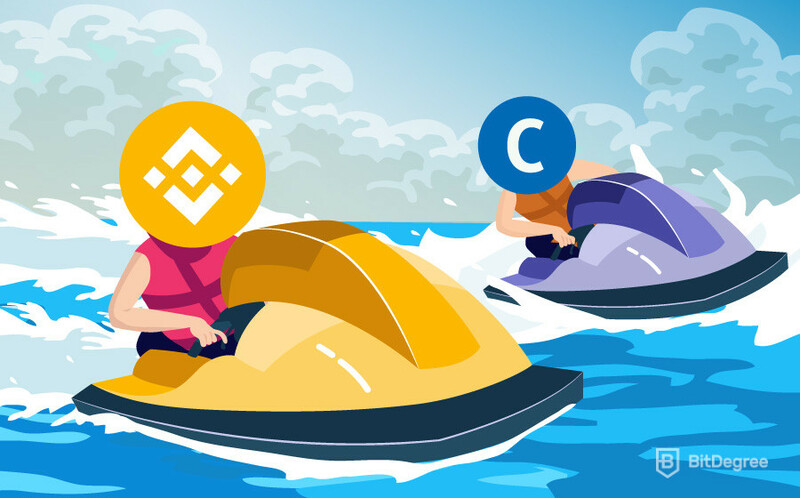 The Binance vs Coinbase fees round is an easy victory for Team Binance. Its fees are very low and they’re easy to understand which is great for newbie traders! Coinbase limits depend on the fiat currency that you’re trading with and whether you are a Level 0,1,2 or 3 user. For example, Level 2 users can make up to 25,000 USD worth of trades a day. Level 3 users can make unlimited trades. Note: The level a trader achieves will depend on how much personal information they provide when setting up their account. This is called account verification. Each level requires more user information to be verified. Binance limits depend on whether a trader has Level 1 or 2 verification. Level 1 users can trade up to 2BTC worth of cryptocurrency per day. Level 2 users can make trades worth up to 100BTC per day (that’s about 650,000 USD!). Binance doesn’t have a limit on how much cryptocurrency a user can deposit. So, Binance offers higher trading limits than Coinbase but which platform is easier to use? 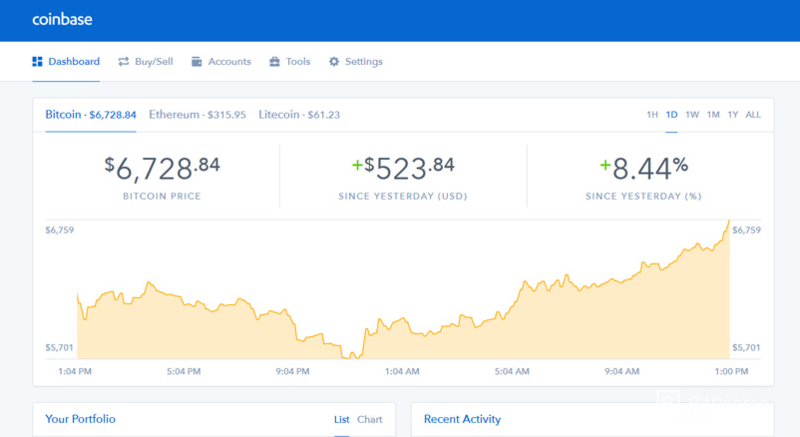 Coinbase is one of the most user-friendly products in cryptocurrency. It’s recommended to every crypto newbie because it’s the perfect place to make your first trades. The layout is clean, simple and well-designed and its features are basic (in a good way!). I made my first trades using Coinbase and it’s always the first exchange I mention to friends. Binance might have won this round if it was being compared to any other exchange. It has two user settings: basic and advanced. Basic is probably a little too advanced for complete beginners. However, it offers more confident traders all the information and features they need in a simple and clear way. Coinbase wins this round but I would recommend both exchanges for beginners. Use Coinbase first and Binance later for a complete trading experience. So, now you know what services Coinbase and Binance offer, how much they cost and how easy they are to use. Both exchanges use two-factor authentication to protect user accounts. This is a system where each account has two kinds of password. The first is chosen by the user and the second is sent to the user’s mobile phone or created by an app like Google Authenticator. Coinbase stores 98% of user funds offline. The 2% that’s kept online is insured against theft by Lloyd’s of London. Coinbase also keeps user funds separate from operating funds to prevent misuse. Being based in the USA also means that Coinbase has to follow US financial laws which are some of the toughest in the world. It’s less clear how Binance manages its customers money and this worries some users. As recently as June 27 2018, Binance users reported missing funds following a planned system upgrade. Binance was forced to apologize and offered 70% discounts on trading fees for the trouble the upgrade caused. However, the security team at Binance has been praised for protecting its user’s money from hackers. In March 2018, hackers stole user login details and tried to rob the exchange. Binance systems detected the hack and stopped it. No users lost any funds and the hackers own funds were donated to charity! So, is Binance safe and can Coinbase be trusted to protect its users money? Binance and Coinbase both have better security records than most other exchanges. It’s clear they take customer safety very seriously. In Binance vs Coinbase, this round goes to Coinbase because it’s more open and honest about where its user’s funds are and what they’re being used for. A lot of exchanges are criticized for having poor customer service. Unfortunately, Binance and Coinbase could both improve in this area too. Neither exchange has a live-chat support option on its home site. Both exchanges prefer to communicate with their customers by email. Although, both exchanges do offer “SupportBot” services for general enquiries. Coinbase takes between 1-3 days to reply to customer emails and some users have complained that responses are unhelpful or too general. The exchange does have a detailed FAQs section on its “support” site which a lot of new traders will find useful. Coinbase also has a telephone helpline but it’s based in the United States so is difficult for international customers to access. Binance support can be slow when the exchange is busy but it’s available in four different languages (Chinese, Korean, English and Japanese), so at least they’re trying, right? Crypto exchanges still offer far worse customer support than traditional financial institutions. Binance and Coinbase could both do a lot better too. Neither exchange wins the Coinbase vs Binance customer support round. The crypto community deserves better! iTunes rating: Not available for download. So, Coinbase wins the battle of the mobile apps due to its availability and popularity. Trading cryptocurrency for the first time can be scary, expensive and frustrating! This is why it’s so important to pick the right exchange. Binance and Coinbase are both great choices for newbie traders. My recommendation is to use them both! Start by opening an account with Coinbase. Make a few simple trades with Litecoin or Ethereum and then, when you feel ready, move over to Binance. Coinbase is the perfect introduction to crypto trading and Binance is one of the best places to continue your crypto education! This battle of Binance vs Coinbase ends in a happy tie! 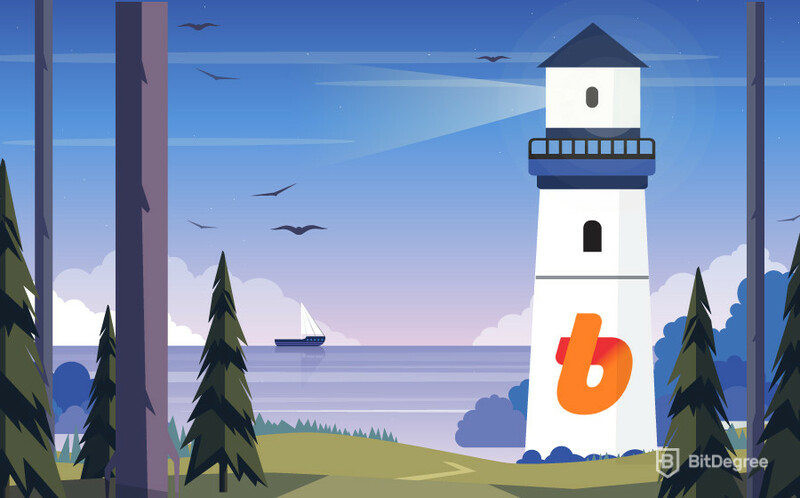 It’s been a pleasure telling you about two of the most professional, reliable and user-friendly exchanges on the market. What do you think? Do you think there’s a better exchange out there? If you do, let me know and I’ll check it out!